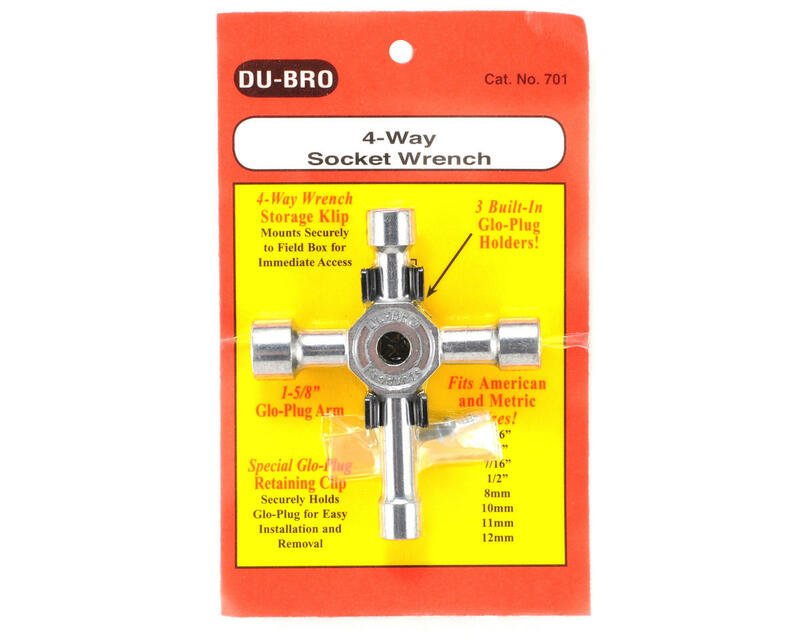 Our 4-Way Socket Wrench offers modelers a quality socket wrench at an affordable price. 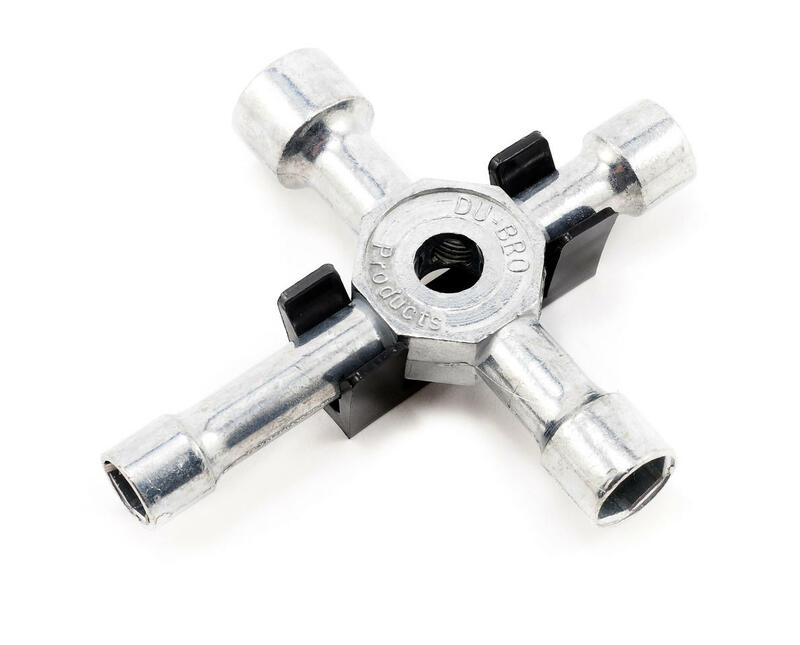 Available in two sizes (Standard and XL) our wrench will accommodate both American and Metric sizes (5/16, 3/8, 7/16, 1/2, 8mm, 10mm, 11mm, 12mm) Also features 3 built in glo-plug holders and special retaining clip. Storage Klip mounts securely to field box keeping 4-way wrench readily accessible. Comes complete with mounting screws for storage klip. 1 wrench and klip per package.